In partnership with Poole Borough Council, we deliver our Financial Wellbeing Project which provides financial capability guidance and advice to those that struggle to manage their money and are at risk of losing their home. Please speak to the Housing Options team at the Borough of Poole to be referred into the service. Citizens Advice is funded by the DWP to provide support to those who are making their initial claims for Universal Credit through face-to-face, webchat and phone. We are working in partnership with a number of partners and stakeholders including the Jobcentres across the conurbation to ensure the service is easily accessible to all. The MAS Debt Project has been funded by the Money Advice Service since October 2014. As a result Citizens Advice Bournemouth Christchurch & Poole is able to deliver a wide variety of debt and financial capability advice and guidance to clients living and working in the boroughs of Bournemouth Christchurch and Poole. Citizens Advice Bournemouth Christchurch & Poole is a PensionWise Delivery Centre for Dorset. Our PensionWise Guiders provide guidance to the over 50’s on their Defined Contribution Pension Pots. Macmillan Cancer Support Services – Citizens Advice Bournemouth Christchurch & Poole are funded by Macmillan to deliver benefits advice and guidance to those that are suffering from cancer. The Caseworker can advise clients about all benefits they are entitled to and provide help claiming them. They also ensure that they are aware of any available grants which could assist them, and can provide advice on other issues. 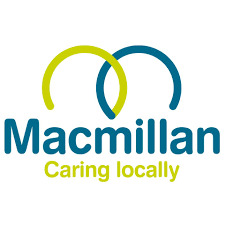 Citizens Advice Bournemouth Christchurch & Poole are working in partnership with Macmillan Caring Locally to deliver specialist benefits advice to those who are currently receiving palliative care. Citizens Advice Bournemouth Christchurch & Poole are working with the Stour Valley and Poole Partnership to deliver income maximisation and benefits advice to those living across the Poole and Stour Valley areas of Dorset. We are funded by Poole Housing Partnership (PHP) to deliver specialist debt and insolvency advice to the residents who are struggling to manage their money. To access this support please speak to your housing officer or PHP directly who will be able to refer you into the project. We are funded by Sovereign to provide specialist debt and benefits advice to their residents living in the Christchurch area. To access this support please speak to you housing officer or Sovereign Housing directly who will be able to refer you into the project. 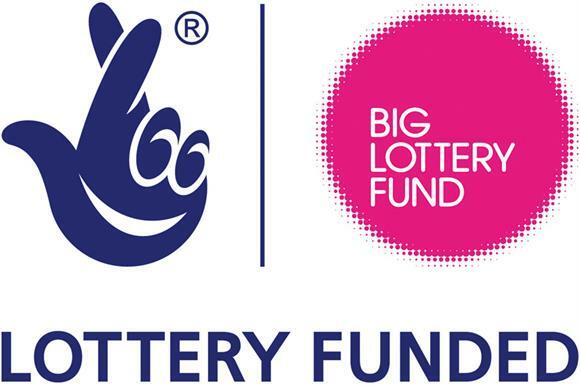 We have been successful in securing funding from Your National Lotter Good Causes – Awards For All to enable us to deliver specialist benefit appeals advice to those living across the conurbation supporting them with mandatory reconsideration, submitting an appeal and representation at tribunals for those that are unable to do this themselves. To access this service please telephone our AdviceLine or attend one of our face-to-face sessions. Citizens Advice Bournemouth Christchurch & Poole provides a specialist disability advice service to those that work and volunteer at Cherry Tree Nursery. The category of help we provide are with form filling and accessing benefits. For a number of years Citizens Advice Bournemouth Christchurch and Poole have provided advice and guidance to in-patients within the St Ann’s Hospital, Poole. Citizens Advice Bournemouth Christchurch & Poole is working in partnership with EDAS (the Essential Drug and Alcohol Service) to provide benefits advice and guidance to those suffering from alcohol and substance misuse. Bournemouth 2026 Trust works with the voluntary community, public and private sectors to make improvements. Aiming to make Bournemouth a thriving town that is fun, safe, healthy and green. 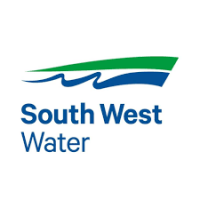 Citizens Advice Bournemouth Christchurch & Poole receive funding from Wessex Water and South West Water to fund our Water Guru Project enabling us to support those struggling to meet their ongoing water and sewage payments. We can help you access reduced rates through social tariffs and grants to reduce you expenditure. We are funded by Bournemouth Borough Council to provide support to those claiming Universal Credit who are homeless, street homeless or at risk of homelessness. Our Universal Credit adviser provide advice and guidance with claiming and maintaining their universal credit claim. Please speak to Bournemouth Council Housing Options Team or attend our drop in on a Tuesday or Thursday for support. We have received funding to run a Hate Crimes project, aimed a tackling hate crime, engaging with our partners and developing and enhancing the Prejudice Free Dorset Network. Citizens Advice Bournemouth Christchurch & Poole is very proud to be working in partnership with lots of other agencies and organisations across the sectors. It is very important for us to recognise that we cannot work alone. Aims to provide the advice people need for the problems they face and improve the policies and practices that affect people’s lives. We are funded by Bournemouth 2026 and the West Howe Regeneration Partnership to deliver a rotating weekly outreach in the primary and secondary schools servicing the children of West Howe. Providing advice and guidance to parents and students to improve attainment and enabling parents to focus on their children’s education. Provide advice, support and activities for older people in Bournemouth, Christchurch, Poole and the surrounding areas. Citizens Advice Bournemouth Christchurch & Poole are working with Street Support Network to help end homelessness. Citizens Advice Bournemouth Christchurch & Poole are in partnership with Prejudice Free Dorset, who are an organisation that seeks to promote inclusive communities across Dorset. There is a clear message that hate crime will never be tolerated and victims will be supported. Helping people struggling with debt problems to access free advice and solutions. The Law Society is the independent professional body for solicitors. It represents and support its members, promoting the highest professional standards and the rule of law. Citizens Advice Bournemouth Christchurch & Poole would like to show appreciation to The Garfield Weston Foundation for generously donating £10,000 towards our core expenses. With their help and support to us we can continue to provide one-to-one help to members of the local community across the boroughs. 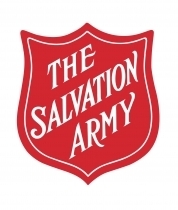 We are grateful for being one of our partners. The Borough of Poole, who provide information for residents, visitors and businesses on services including: Council Tax, bins and recycling, schools etc. supports Citizens Advice Bournemouth Christchurch & Poole’s core funding. Bournemouth Borough Council supports Citizens Advice Bournemouth, Christchurch and Poole’s core funding. The Arbitration, Conciliation Advisory Service (ACAS) handles employment enquiries including equality and redundancy. Providing organisations support through networking events and raising organisation profiles. Bournemouth Council provide Voluntary Service support and develop voluntary groups and organisations, in order to promote equality and tackle social exclusion. Provides emotional support through calls, email and face-to-face. Citizens Advice Dorset is a consortium of 9 Citizens Advice covering the county of Dorset, Bournemouth, Christchurch and Poole. Who work to develop Citizens Advice services across the local area. 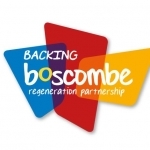 The Boscombe Regeneration Partnership works to make Boscombe a better place to live, work and visit. Supporting individuals, communities and institutions in challenging racism, celebrating diversity and promoting equality of opportunity for all in Dorset. Demonstrates Christian principles through practical support; offering unconditional friendship, and very practical help to people of all ages, backgrounds and needs. 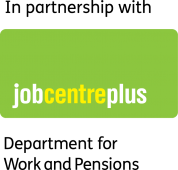 Jobcentre Plus assists people with new and existing benefit claims (Job Seekers Allowance and Employment Support Allowance), as well as providing access to information about available work, CV tips and interview preparation.